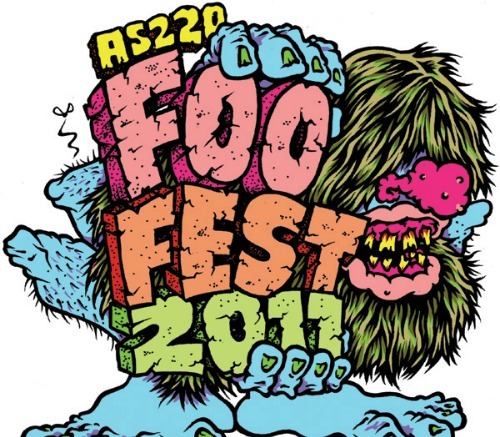 On Saturday, August 13th 2011, AS220 will entertain Providence with the 17th in a series of not-to-be-missed annual celebrations, when Foo Fest takes over Providence’s Empire Street, transforming it into the largest gallery and performance space in the city. Spend twelve colorful hours cavorting with more than 5,000 of the region’s finest. Learn how to party from our infamous headliner, Manhattan artist, Andrew W.K., the self-styled “King of Partying”, during a Special Solo Show performance on the Foo Fest main stage. Over a dozen AS220 programs, inspired individuals, and non-profits will present creative activities and interactive works of art under our big top. Local food vendors and modestly-priced, well-stocked bars fill out the event for a perfect summer block party.